The amateur and semi-professional motoring scene in England is strong and growing year on year. 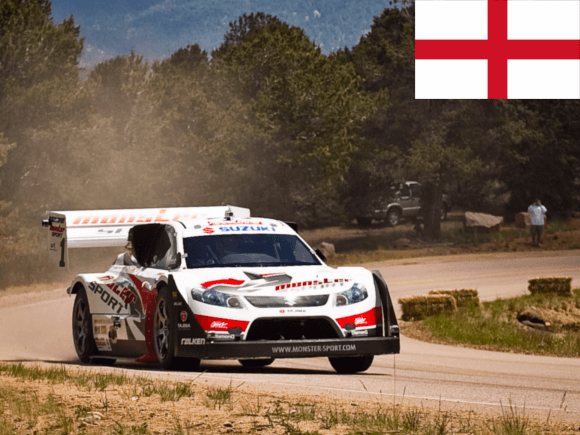 With clubs present in almost every English county, the various rallies, sprints, hill-climbs and trials taking place throughout the year are never short of competitors. Of course as the months roll in some clubs perform better than others in events and competitions. However performance in external events is only one aspect of what makes a motoring club. There’s also heritage, social activities and community involvement to consider. Being a respected car leasing company ICL decided that it was time to commend those who are (in our opinion) the top overall motoring and car clubs in England. This ‘Top 30’ list is based on a number of factors built into a custom scoring system, which we feel gives a rounded assessment of a club’s value. We hope you enjoy reading this piece and if you’ve got any suggestions or opinions we’d love to hear them in the comments section at the bottom! It was a very close call as to who would grab the number one spot, with the eventual winners just pipping it! The Nottingham Sports Car Club ticked boxes across all of the criteria we were judging on in a big way. This is one of the most active, vibrant, social and community-based motoring clubs we’ve ever come across. They also have a strong online presence across their own website, social media and various motoring community websites – allowing them to really connect with the wider car community effectively. A lot of clubs in this list are heavily into rally racing and similar mixed surface motorsport. 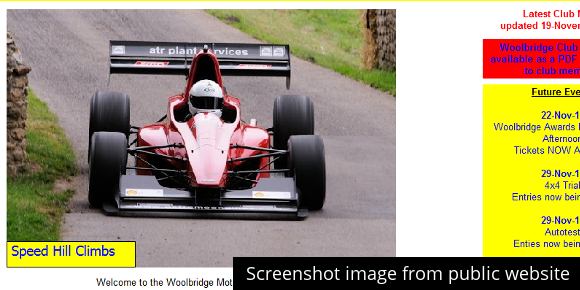 However the Nottingham Sports Car Club deals in sprint and hillclimb racing. These forms of motorsport, also known as speed events can be some of the most diverse and interesting competitions out there. Speed events don’t take place on circuit tracks where the start meets the finish, making each turn and twist a unique part of the race. Looking forward the NSCC already has 22 events scheduled into their calendar for 2016, meaning it should be a fun and widely-represented year for the club. 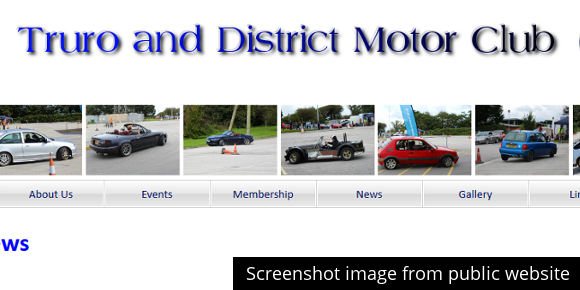 The DDMC is one of the oldest motor clubs in existence (and this is a big ranking factor in them hitting the #2 spot). Originally formed all the way back in 1922 the club is 91 years old at the time of writing! The Devizes and District Motor Club has been through a couple of different shapes and forms in that time, but the geographical area and purpose has always remained the same. The club still keeps its very popular monthly 12 cars (scatters in the summer evenings); the Devil’s Tour has become their major Road Rally, the Driveshaft a 20/20 road navigation event, and they hold a well attended Classic Car tour every August as part of the HRCR series (Historic Rally Car Register). The club has branched out in to autosolos and ran one as part of the Emergency Services Day at Hullavington Airfield in connection with Go Motorsport. This was an initiative to give the public a taste of motorsport by offering passenger rides. This has led to a possible Autosolo series with the Police as a means of getting young ‘boyracers’ off the streets and into a more controlled motorsport environment – a commendable aim indeed. 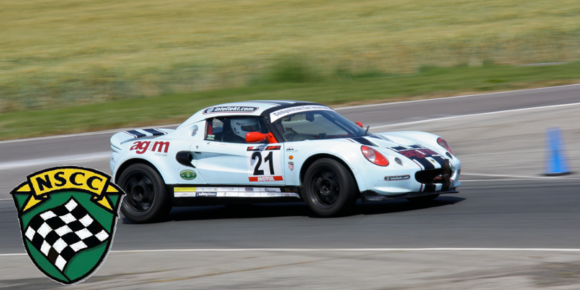 The Wallasey Motor Club is a real all-rounder with member’s enthusiasm spreading over a wide range of motorsport areas. Based in the Wirral area, the club meets most Monday evenings making them one of the more frequent contenders in this list. You’ll find members of the WMC participating, marshalling and spectating at a huge number of events across the country. They’re highly involved in the media, motoring community and do their bit to integrate outside their own members. One thing that is especially commendable about this club is that operates in a highly professional manner. From regular newsletters to an easily accessible and well designed web presence WMC has a slick operation going on here. Trackrod motor club, based in the Yorkshire area is another very well-run operation which conducts itself in a professional manner. 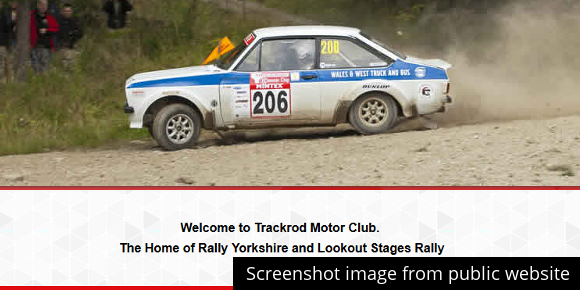 This club is the organiser of Rally Yorkshire and Lookout Stages Rally, two high profile events which are well respected on the annual motor enthusiast’s calendar. 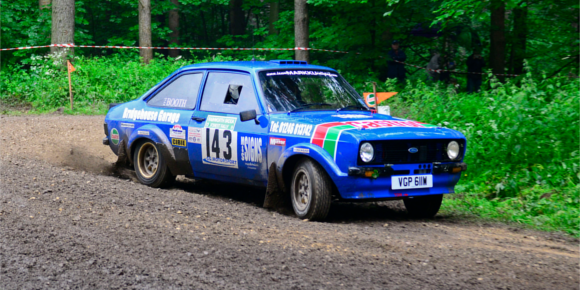 Trackrod is involved in everything from project management to marshalling and co-ordination of rally events. Media relations are also taken very seriously with press activity being a big part of the club’s visible activity. If you are to turn up to one of these guy’s events you’re not going to be disappointed. The amount of effort which goes into making sure everything runs to a professional standard is impressive! 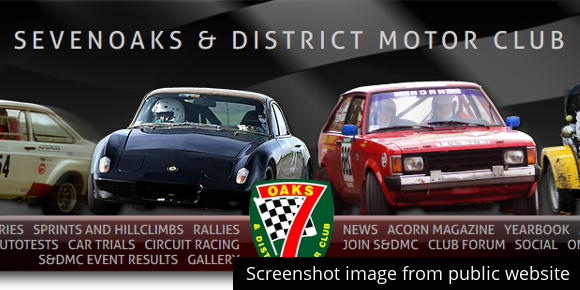 Founded all the way back in 1954 the Sevenoaks and District motor club is a well-known name and one of the more well known clubs in the country. It’s a very welcoming environment and they have members ranging from complete beginners to seasoned veterans. SDMC is one of the clubs which likes to dabble around in various aspects of motorsport and not only specialise in one discipline. In this way it’s a real enthusiasts group, in the sense that if it’s got a motor and is fun to drive they’ll try it. The club is actively involved in sprint championships and auto tests (which they organise themselves) all the way through to rally championships in conjunction with other organisations! The club even has it’s own monthly magazine which we thought was an impressive feat. Their social calendar is also full of entertaining events keeping a real community feel amongst members. 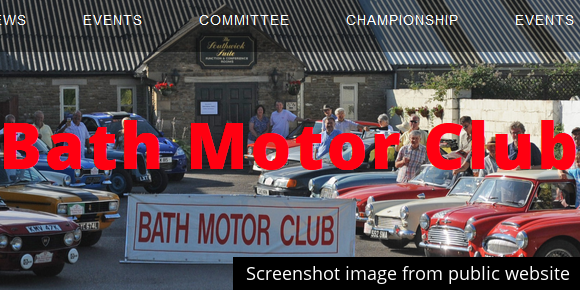 Founded back in the swinging 60s (1963 to be exact) the Bath Motor Club is a very well integrated part of the English motoring community. 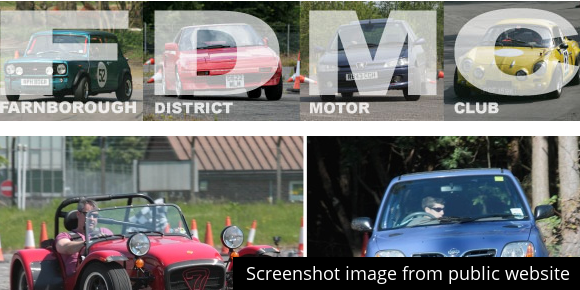 Besides being members of the Motor Sports Association BMC is also part of regional motor sport associations which are local to the West, South, Midlands and even Wales. The club is one of the leaders in its field, actively making an effort to integrate itself into the wider motoring scene. If they’re not competing you’re sure to find some members spectating or marshalling right alongside the action. One of Bath Motor Club’s strongest assets is its social involvement. Throughout the year they have a range of trips, quiz evenings, mini-games, guest speakers and much more to keep members entertained. Another club from the same decade as the #6 spot the Lindholme Motor Sports Club was birthed in 1965. It’s an interesting beginning, as the club was originally set up at a working RAF airbase focusing on road rallies in and around Doncaster. The club is still based in the area, but not at the airfield anymore. 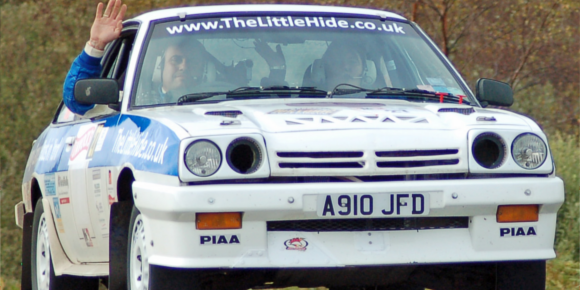 You’ll find members of the Lindholme MSC competing in various Rallies and Autotests throughout the year. However the club isn’t just about motoring, they’re also very active in social activities both amongst members and in the wider community. You’ll find them running treasure hunts, barbeques, quiz nights, film nights and much more. Again like others in the top 10 they have regular weekly meetings and are a very active bunch! Born from only 6 motoring enthusiasts all the way back in ’53 this club was originally formed to compete in various rallies and races. 62 years on, with a lot more members, the Guildford Motor Club is true to its founding members’ ambitions but on a much bigger scale. The club competes and marshalls in a huge range of events each year. These diversify from 12 car scatter events using normal road vehicles to all out rallies and sprint events using specialist cars. This gives members a good mix of races to attend and allows drivers of all skill levels to compete when they want. With two club nights each month the Guildford Motor Club is an active group on the social side too. Their meetings are not as frequent as some of the clubs which gather weekly but it’s still a good effort! You can keep up to date with the club’s news and events via their monthly magazine too. 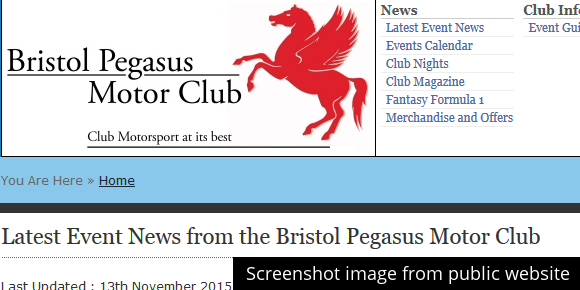 The Bristol Pegasus Motor Club is a popular and well-integrated part of the auto scene in the south of England. In addition to being affiliated with the MSA the BPMC is also part of the following associations – Southern Western Motor Clubs, Central Southern Motor Clubs, West Midlands Motor Clubs and the Cotswold Motor Sport Group. 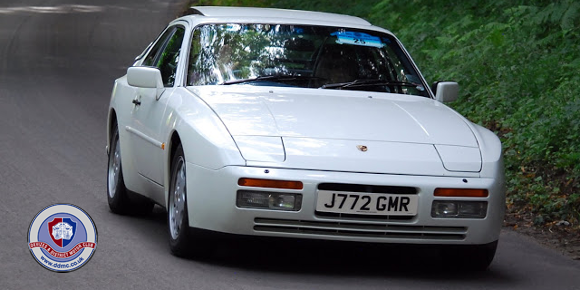 The club in its current form has only been around since 1991, however the origins of this Bristol based motoring group spans all the way back to 1944. The events this club participates in include sprints, 12 car rallies, navigational events and the exciting production car trials. When you take a look on their website you’ll see it’s a seriously well run establishment. From regular club nights, a monthly magazine, fantasy formula 1 and even their own line of merchandise the Bristol Pegasus Motor Club means business! 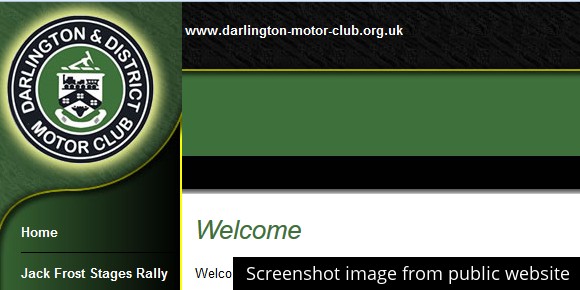 Darlington Motor Club is very involved in a wide range of motoring activities including their own ‘Jack Frost Stages Rally’. The club organises this event annually and it’s a big undertaking which certainly deserves recognition. In addition to the rally, members can also be found at the Northern Saloon & Sports Car Championship, Roderick Gray Sporting Car Trial, GB Sprint and Rallycross events. It’s safe to say their members aren’t afraid of a bit of competitive motorsport! The club can trace its origins all the way back to as far as 1905 and has had a very colourful past in 110 years of existence. Records as you might imagine are a little patchy but the first competitive event recorded was back in 1946 and the club hasn’t looked back since. The members only meet once a month, which is much less frequent than many other finalists in this list. However the scale and commitment these motorists have towards organising, participating in and marshalling events more than earns them their place. Kings Lynn and District Motor Club is another of the well-established groups in this ‘Top 30’ post, originating back in 1953. Since then it has been growing both steadily and strongly, making it one of the most respected motoring groups in the country. The club is very open to new members, there’s no referral system, and all you need to do is download their application form online. Although KL&DMC participates in many motoring disciplines, members are most interested in motorsport. Members of the club participate in everything from small 12 car local races to full scale official road rallies. One thing is for sure these drivers like to go fast and experience a range of driving terrain. When members are not competing you’ll find them right on the sidelines taking up assisting roles as marshalls. 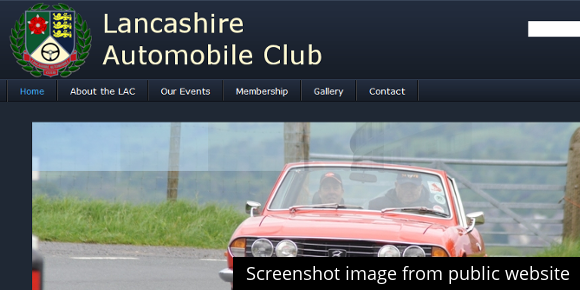 Being one of the oldest motoring clubs in the UK, founded in 1902 the Lancashire Automobile Club is a real historic body in the history of British motoring. In fact they are the second oldest club in history with a continuous existence. 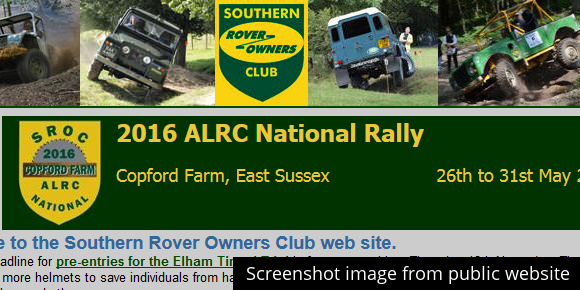 The club is still going strong, competing in a range of rallies across the country. 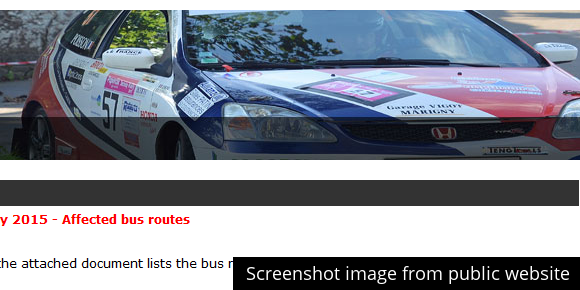 They also marshal a range of events including the prestigious Wales Rally GB. This makes them a contributing part of the overall UK motoring community, which is a big consideration in this list. On top of this though, the club has hosted various rallies of its own throughout the years creating some great motoring memories. This level of prestige has seen the club receive some real recognition and honours such as being approached by Jaguar to organise the road events for the commemorations of their founder’s 100th birthday. With 103 years under their belt the Lancs Automobile Club is still going strong, and we don’t see them stopping any time soon. Owen motoring club is another multiple-discipline organisation that partakes in a wide range of activities. Stage rallying and sprinting are the most frequented types of motorsport, but you’ll also see members at trials, autotests and rallies alike. The current club has an active social scene and is another organisation with frequent weekly meetings. Another additional activity which gives the club some brownie points is that they have a selection of classic cars. These classics are toured around during the summer months and displayed proudly at select shows and gatherings. The Malton Motor Club prides itself on being one of the most competitive in North Yorkshire with around 140 active members, often having up to 20 crews out on local stage events. Originally formed in 1963, in 2003 the club became a limited company in order to manage the annual Malton Forest Rally. 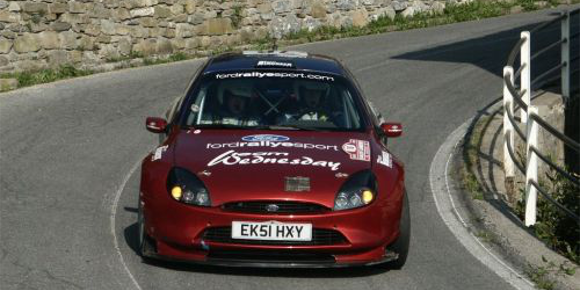 Predominantly focused on rally, the club has a very welcoming attitude to anyone with an interest in motorsport. What really stands out is its active social presence with monthly club nights and seasonal social events. Keen to keep its members up to date where ever they are, Malton Motor Club is active across social media and even publishes a monthly newsletter, which it encourages members to contribute towards. Other than the Malton Forest Rally, the club also organises the Ryemoor Trophey, which has won a number of awards, a 12 car championship for beginner to expert classes and a number of scatter rallies throughout the year. The Jersey Motorsport Club has a history that reaches all the way back to 1920, originally founded solely for motorcycle events but quickly progressing to include a wide variety of sports cars. A key part of Jersey’s community, the club works closely with local authorities to run a highly popular and busy schedule every year. What really sets the club apart is its diversity. With around 550 active members, 100 of whom are juniors, the club currently runs close to 60 events every year. Hill climbs, sprints, sand racing, trials, motocross and rally events are all a part of the club’s annual calendar. Held across the island, the events attract spectators and participants from both mainland UK and France, and caters for bikes, cars and karts in beginner to expert classes. With a busy social scene, which includes an annual awards ceremony, the club also has an up-to-date website that lists all upcoming events and recent news. 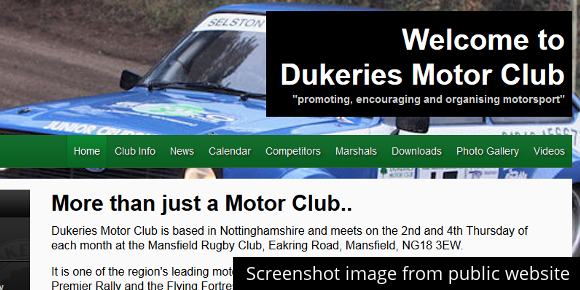 Now over 60 years old, Dukeries Motor Club is a leading Nottinghamshire club based in Mansfield. Meeting twice a month, the club has established for itself a strong regional presence and an excellent reputation for organising events. Its three main annual events are the Dukeries Rally, Premier Rally and the Flying Fortress Stages, but it also runs a members-only track day and a popular rally championship throughout the year. With a highly competitive and active scene, the club has won both the East Midlands and North East Midlands Rally Championships on a number of occasions. An active social media presence, a regularly updated newsfeed plus a newsletter keeps its members in the loop These members can often be found marshalling for and competing in a number of other events around the country. Closely affiliated to the Motor Sports Association, the club is also a member of five regional associations. Founded in 1960 the Woolbridge Motor Club has its roots in Dorsett, but today has grown to become one of the largest clubs in the South of England with nearly 500 members. The club runs a range of highly inclusive events such as hill climbs, trials, autotests, autosolos and navigational rallies, catering for every class from the road going production vehicle to modified cars. Woolbridge Motor Club is also keen to promote 4×4 events with a number of demanding trials taking place throughout the yearly calendar. Like many of the other clubs listed here, Woolbridge has an active social calendar with a number of meet ups and award presentations taking place regularly, and often with other clubs. However, what is particularly commendable is its charity work. Over £60,000 has been raised by the club since 1998 for a range of charities including Cancer Research and The Guide Dog Association. 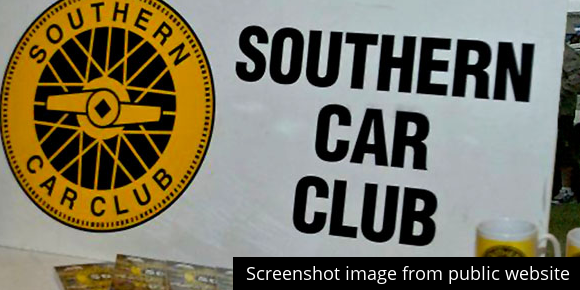 The Southern Car Club had its inaugural meeting in 1958 and over the years since has grown to include over 150 members. Whilst the club’s main focus is on rallying, with it organising the final stage of the MSA British Rally Championship and Rallye Dorset, the Southern Car Club also runs a number of autocross, autotest, circuit racing, hill climb, karting and trial events throughout the year. In partnership with Farnborough District Motor Club, the club organises the Aldershot Rally for Heroes, an event which takes place on 50 miles of military roads and raises money for Help the Heroes. First taking place in 2013, the event promises to be an annual highlight for the region’s motor enthusiasts. 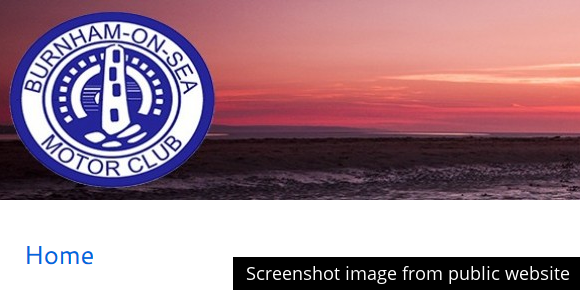 The club’s news page and social media profiles are regularly added to, helping to create a popular network for its members and it holds a variety of social events including a dinner and dance at the beginning of every year. Truro and District Motor Club can trace its history back around 80 years and for a time during the late sixties and beyond was able to name Donald Healey as club president. Growing from 50 to 100 members since 2011, the club is becoming increasingly popular in Cornwall. Throughout the year the club holds a number of autosolo and hill climb events including the Tregrehan Hillclimb, which sees stock road cars go up against single seat racing cars. As well as this a growing number of social events such as quizzes and treasure hunts are important dates in the club’s calendar. A popular Facebook page and Twitter feed as well as a monthly newsletter are key parts of the club’s community engagement in keeping its members fully informed of all upcoming events. Burnham-on-Sea Motor Club was founded in 1953 and has a great heritage, with some of its original members still playing an active role in the club 62 years on. 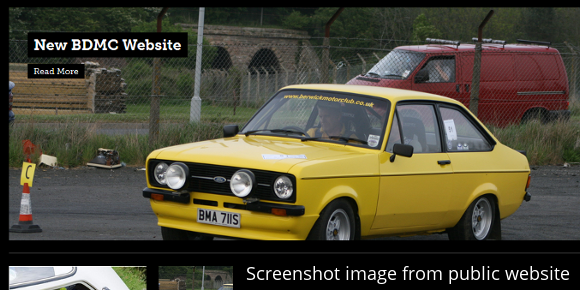 It is also quite a diverse club focusing on road and stage rally, hillclimb and endurance events. 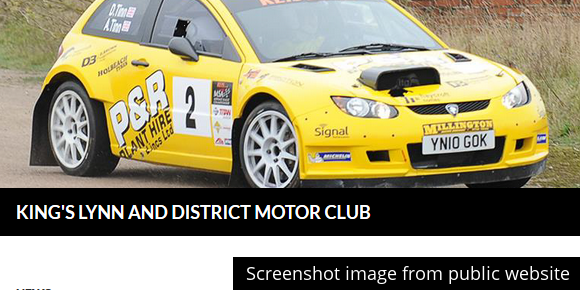 Keen to promote motorsport in the South West, Burnham-on-Sea Motor Cub works closely with other local clubs to run a number of events throughout the year including Exmoor Endurance Rally, Somerset Stages Rally, and Five Clubs Wiscombe Hillclimb. On the social side of things, the club again reaches out to interact with other clubs for low-key social gatherings. Quizzes, trips out and dinners are also highlights on its social calendar. An active social networking presence, a regularly updated news page and a monthly newsletter are all part of what makes it’s such a strong organisation. 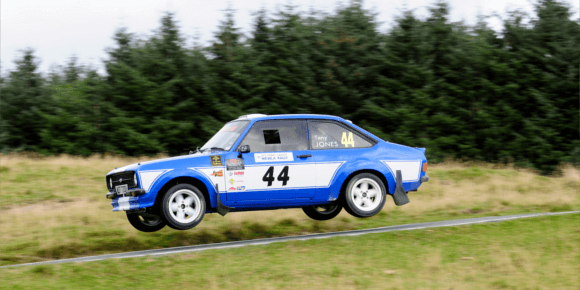 Open to anybody with an interest in cars, the North-East’s Whickham and District Motor Club has become one of the most popular clubs in the region’s rallying scene since it was first established back in 1963. In fact, members of the club can be found competing, organising, marshalling or assisting at many of the events that take place in the North of England and Scotland throughout the busy annual calendar. 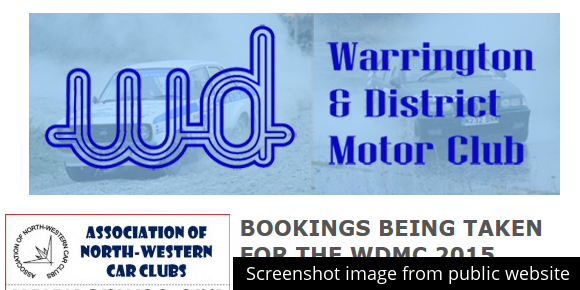 WDMC is involved in most motorsport events in the north east in some form or another. 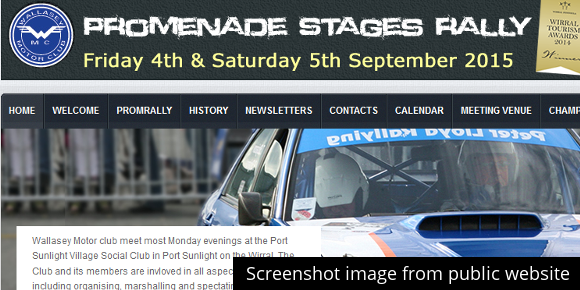 However the main events on their calendar are the Border Counties Rally and the Cheviot Keith Knox Stages Rally. The club makes sure to meet up every Wednesday night for anything from a drink and a chat to auctions and Scalextric championships. It also runs a number of autosolo events throughout the year, which gives anybody the opportunity to put the speed and agility of their daily driver to the test. 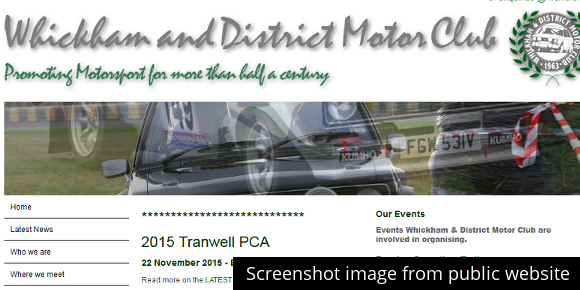 Based in Rochdale, the Knowldale Car Club is a local club that welcomes drivers from all backgrounds. Throughout the year the club runs a championship, which covers the three disciplines of forest, tarmac and road rally. The club’s main annual event is the Mini Miglia, a non-competitive road run event that encourages all cars, experience levels and backgrounds to take part. The club runs a busy social calendar and has an exclusive member’s area on its website to keep members up-to-date on all events, news and opportunities throughout the year. 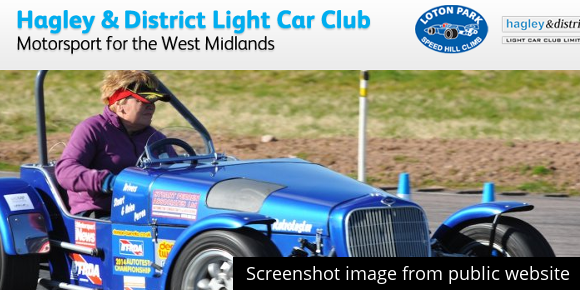 Another club with a long history behind it, Hagley and District Light Car Club was originally formed back in 1935. The club is highly active with 500 members signing up from across the UK and even as far as Africa. Running many events from Loton Park, near Shrewsbury, the club is focused primarily on hillclimb events and has organised a number of British and Midland Hillclimb Championships. Perhaps the highlight of the club’s year is the Ken Wharton Memorial Autotest, which will be celebrating its 60th year in 2016. With much of the event televised, it successfully attracts competing teams from all over the British isles. A busy social programme is also central to the club’s activities, including road based and walking treasure hunts, annual prize ceremonies and a number of visits to attractions across the country. The club keeps its members up to date via a popular and informative Facebook page. Farnborough Motor Club was founded in 1958 and over the years has grown to incorporate a large number of events and motor sports from rallying and sprints to autotests and production car trials. The club runs two championships throughout the year, the Lloyd Roberts Championship and the Solo Challenge, both of which are open to specially prepared cars as well as standard models. 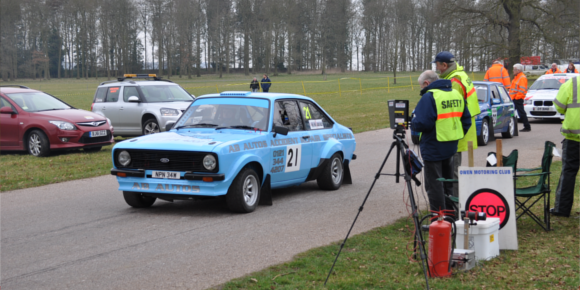 The club also helps to organise the Abingdon Motorsport CAR-nival, a series of rally, sprint and autosolo events spread out across two days every year. As well as being a highly popular social gathering, the event also raises money for local charities. As with many of the clubs here Farnborough has a regularly updated social media presence and website, but what really impresses is its monthly magazine, Steering Column, which offers its members a regular overview of news, views and upcoming events. 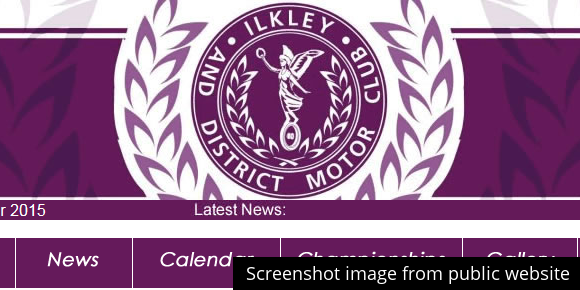 Ilkley and District Motor Club is one of the oldest clubs we’ve come across, starting life as a motorcycle club in 1910. It quickly progressed to include light cars and over the years has grown to become one of the biggest and most successful clubs in the North of England, having twice been awarded the MSA’s prestigious Motor Club of the Year. Today the club has well in excess of 400 members and runs a number of events, including national and regional championship rounds, seven autotests, ten car trials, historical road rallies, karting, navigational scatters and motorcycle trials throughout the year. Highlighting its success as a club, over its history members have gone on to become world champions and to this day has members representing England in autotests. In addition to this, the club also runs a number of social events, such as casual meetups, games nights, brewery tips and an annual dinner dance, as well as welcoming members’ families with theme park trips and Christmas events. One of the best known clubs in the Midlands and Wales, Quinton Motor Club has members from as far afield as the USA and Norway. Officially formed in 1959, the club has established itself a strong reputation within the rally world, both in terms of marshalling and organising. Alongside a number of rally championships that are run throughout the year, the club also runs the Horiba D’Isis Rally, a single venue tarmac event held at MIRA and the Nicky Grist Stages held in the forests on and around Epynt, which had 169 cars take place in 2015. Meeting twice a month the club makes sure to run a busy social schedule and also produces a monthly newsletter to keep its growing number of members up to date. The club is currently in the process of upgrading its website to reflect the high level of professionalism with which it operates throughout the year. Another old club with a history that begins way back in 1928. Meeting weekly, the club is proud of its wide ranging mix of motor enthusiasts from all backgrounds, including experienced marshals, crew and organisers, some of whom have gone on to compete in major UK and European championships. 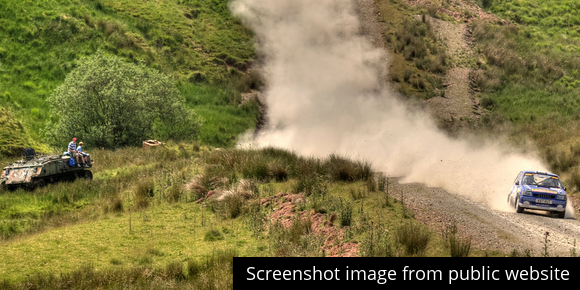 During the year, Warrington and District Motor Club holds the Enville Stages, a single venue sealed surface rally at TRAC MON in Anglesey and is involved in running the Legend Fires North West Stages, a popular rally event that attracts competitors from all over. It also runs its own championship throughout the year. The club has a friendly attitude that welcomes newcomers with all interests and keeps its members informed through its Facebook page. Berwick Motor Club’s heritage is thought to be over a century old, although no official date has been pinned down from publicly available information. Over the years the club has been a real figure in the UK’s motor sport culture able to count legendary drivers such as Jim Clark, Andrew Cowan and Louise Aitken Walker amongst its members. Today the club is open to anybody with a passion for motorsport and undertakes many popular disciplines from road and stage rallying, autocross and sprints, to auto tests and classic rallies. Throughout the year the club runs a number of events, many of which have become popular to the country’s enthusiasts, and is always on the lookout for more venues. 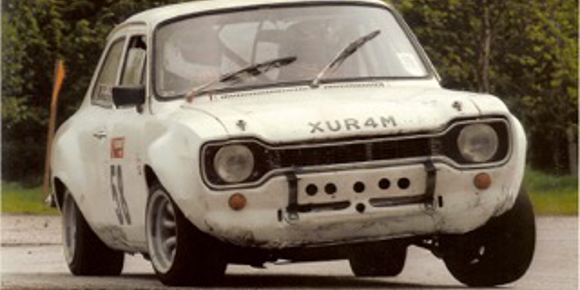 However, the pinnacle event for the club is the Jim Clark Memorial Rally, the only rally on the British mainland to still take place on closed public roads and a regular fixture in the British Rally Championship. The Sheffield and Hallamshire Motor Club is one of the oldest and most inclusive clubs in this list. Founded in 1904, the club has been active in rallying and racing through to sprinting and karting and currently organises a number of road and stage rallies, and sprints every year. Open to anybody with an interest in motor sport, the club meets twice a month and holds a number of treasure hunts, quizzes and scatters both for its members and with other local clubs. Amongst the various events organised by the club throughout the year, the Hope Motor Show every June is perhaps its biggest. The show attracts over two thousand people and showcases a mix of historic, classic and modern road-going and competition cars and motorcycles. Supported by a busy social networking presence and regular magazine, the Sheffield and Hallamshire Motor Club is a true example of a professionally run and engaging organisation. So far the post has mostly focused on motoring clubs that engaging in competitive driving activities. However there are several clubs dedicated to owners of the same type of vehicle and we thought at least one of them deserved a mention. The Southern Rover Owners Club is one such organisation, and one which goes way beyond just a bunch of enthusiasts. The SROC isn’t just a bunch of Rover owners meeting in a pub for a chat. They actively participate in various events throughout the calendar year. This sees them take their vehicles for trials in some rough off road terrain where they’re most at home. Off roading is one of the most adrenaline infusing forms of motorsport, and one which doesn’t rely on speed and mph. It’s a different type of challenge and one which we’re proud to give credence to in this top 30 list.